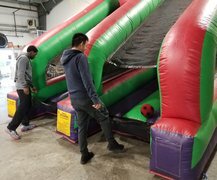 Put your soccer skills to the test with the Soccer Shootout our Best Inflatable Soccer game rental. Each player tries to kick their soccer balls past the goalie causing the ball to come out on their opponent’s side! First player to get all of the soccer balls to their opponent’s side wins! Do you have what it takes to win? 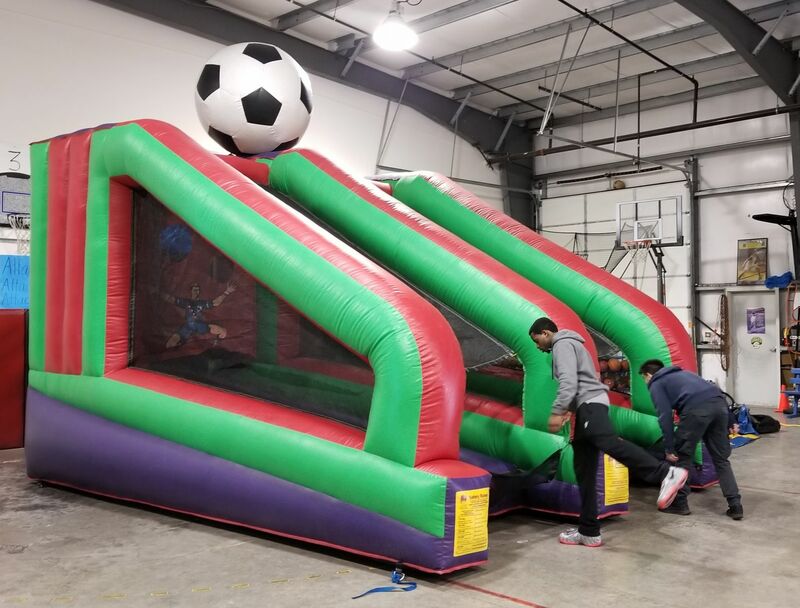 Get the PK Shootout Inflatable for your next Puyallup party or event to find out today. You should consider adding a dunk tank to your event to cool down your soccer competitors. Test your soccer skills with the amazing Soccer Shootout! Time for some fun competition! Each player tries to kick their soccer balls past the goalie causing the ball to come out on their opponents side! First player to get all of the soccer balls to their opponents side wins!